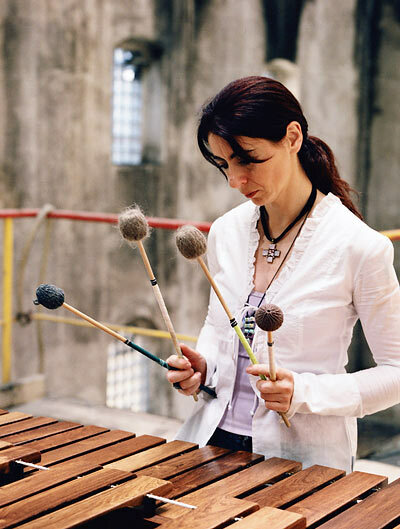 You are currently browsing the category archive for the ‘Evelyn Glennie’ category. Scottish percussionist Evelyn Glennie is quite a remarkable individual. She’s known in part for being “the first full-time solo percussionist in 20th Century Western society” (wiki), but interestingly enough she has been deaf since age 12. As an accomplished musician, she’s clearly not entirely deaf, and has managed to explore an amazing theory of hearing with her body and not just her ears, which she wrote an essay about a few years ago. Anyway, she was featured on TED a few months ago, and her presentation on making REAL MUSIC (not just going through the motions) is valuable for all performers to consider.